Hi! 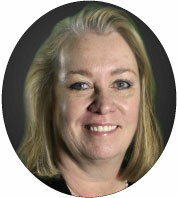 I'm Sandy Benson, an Insurance Advisor at Trusted Quote. I’ll help you find everything you need to choose the right policy for you and your family. My specialty is life insurance, but I can help find answers for all of your family’s insurance questions. Click here to contact me! We know which insurers give you better rates if you smoke occasionally or even once a day. Let us help you find an affordable life insurance policy for smokers. Return of premium life insurance gives you 100% of your money back if you outlive your policy's term. If you pass away during your term, the policy functions as usual and your beneficiary receives the death benefit payment. For those who need the security of knowing they can get their money back, return of premium policies are ideal. In the insurance world, it's the closest thing to a guarantee you can buy. Trusted Quote can bring you instant quotes for 20- and 30-year return of premium policies. To get started, click the orange button below! Return of premium life insurance refunds your payments if you survive your term. What do I get from a return of premium policy? You pass away during your term. If this happens, the insurance company will pay the face value of your policy to your beneficiary (the person or people you select to be the recipient(s) of the insurance payout). If this happens, the insurance company will refund the total of your monthly premium payments to you in one lump sum. Many people look at this as a win/win situation—if you pass away, someone you love receives the money you wanted them to have. If you're still alive, you get a lump sum of cash that can help support you in retirement, send kids to college, or be re-invested in an annuity. As you probably guessed, you'll pay more than you would for a standard term life insurance policy. Expect your rates to be several times the amount you'd pay with a standard policy. (If you're wondering why you need to pay more, it's because the insurance company invests that extra amount you pay, invests it, and makes that money grow so they have enough to issue you a full refund at the end of your policy.) However, if you're the type who wants a guarantee, you can look at this as paying for security. If you're in good health, there's a good chance you'll get all that money back at the end of your term. The good news is that if you're young and healthy, the amount you pay for return of premium is still less than many cable TV packages. Let's take a closer look below. Let's look at how much a sample applicant would pay for both cable TV and return of premium life insurance. Yes, the return of premium policy is almost five times as much as the standard policy. However, Jane is guaranteed to get all that money back in 20 years, if she's still alive. She'll only be 55 and is in great health now, so there's an excellent chance this will happen. Plus, we're still not talking about a large amount per month, when you consider how much many people spend on things like eating out or cable TV packages. In this example, Jane already pays more for cable TV than she would to select a return of premium over a standard term policy. She'll pay an extra $984/year for return of premium, knowing she'll get every penny back in 20 years if she outlives her policy. If she buys a digital cable package with OnDemand, she'll pay about $1,300/year, and not one penny of that money will ever come back to her. Am I taxed when my premiums are returned? That money is yours, tax-free, because it's simply a refund of your premium payments. You paid that money to your insurer after tax, so there's no reason for your refund to be taxed. Use that money for anything you want! How do I know a return of premium policy is right for me? Understand your financial needs before selecting a life insurance policy. It's all about evaluating what you want from the policy. If you're concerned about making payments on a 20-year term and outliving your policy with nothing to show for it, return of premium can help take away that concern. If you're more concerned about getting through a period where you have heavy financial obligations (like a mortgage, or kids to raise and send to college), just surviving your term might be reward enough. It depends on your unique personal situation. Different insurers offer different policies, too. There isn't one identical return of premium policy available through each carrier. Carriers can charge more or less depending on state regulations and their business needs. They may also have different requirements in terms of how much money you can get back if you cancel your policy. These are the tiny details you want to compare between policies, in addition to the rate. You always want to shop around to make sure you're getting the most affordable policy available in your state. One great way to do that is by using our online quoter. You don't have to troll through dozens of insurer sites, inputting your information again and again. At Trusted Quote, you give us a few key pieces of information (your age, gender, height, weight, tobacco use, and general health) and we bring you quotes from dozens of the country's top-rated carriers. At a glance, you see exactly what these insurers have to offer you. It's one-stop shopping for return of premium policies! If you’re ready to shop, give us a call or click the orange button below to start the process online. Ask questions or get quotes over the phone at 1-800-823-4852.